Did you ever have a sweet tooth for FM synthesis? Time to go DX with some FM classics from yesteryear, repackaged for 2019.
time when a series of synthesizers from Yamaha ruled the airwaves, with the fabled DX7 being the single-most-used synth of that era. Yet the FM sounds it offered were something of a Marmite flavour, offering crisp and pure sounds, quite unlike anything that we had heard before. Move on a mere 40 years and FM – that is Frequency Modulation – is having something of a renaissance. The synthesis type is highly capable and, just like other categories of synth, has a huge and varied legacy of instruments to call upon. 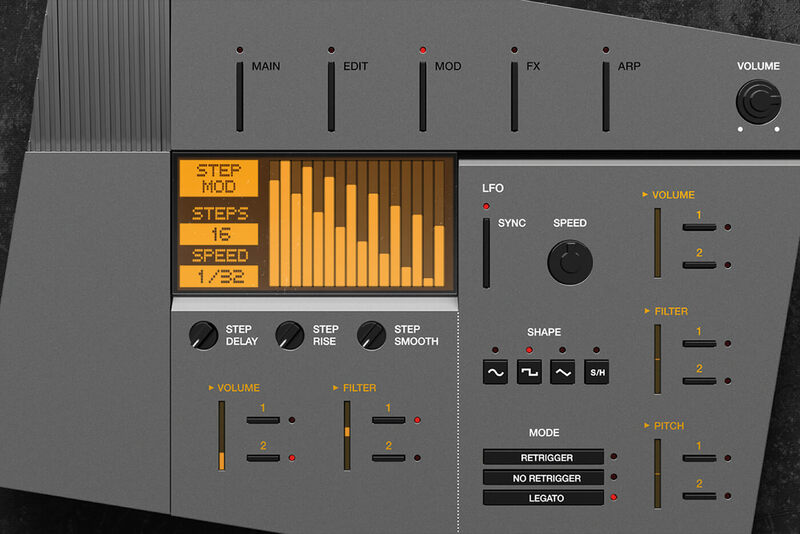 Enter UVI, which aims to dust off some of those FM classics and package them into an extensive new instrument set which is drawn from both popular and ultra-rare models from the original FM era. this becomes very apparent from the 38GB download, which will run in UVI’s own Workstation plug-in, or the exceptionally powerful Falcon plug-in synth, which is what I am using for this review. This does mean that you can’t get at all of the interaction between the Operators, which is such a heavy component of FM synthesis. While editing is available, it is firmly aimed at the steadfast elements that we are familiar with from subtractive synthesis, such as filtering and modulation via LFO and envelopes. 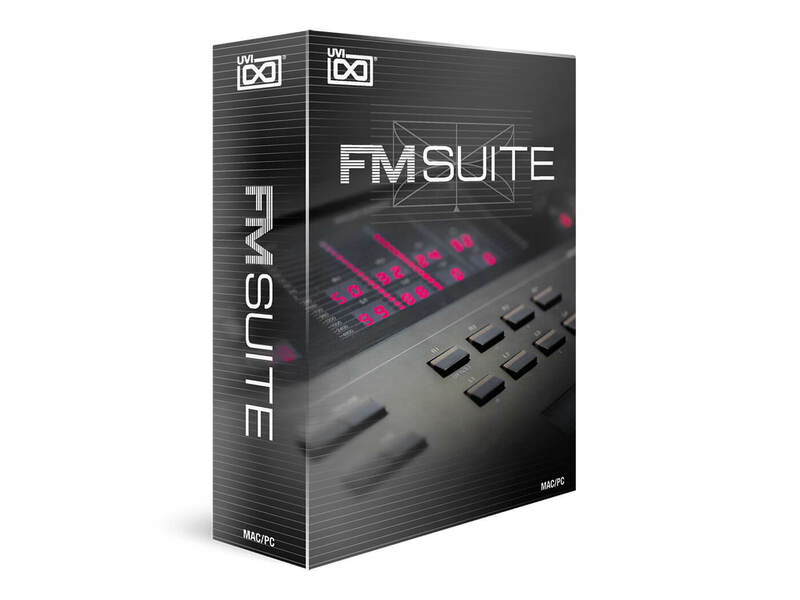 While some might consider this a little bit of a disappointment, it’s important not to let it become a distraction from the suite itself, which contains waves which have been captured from the original FM machines. And besides, the suite ships with over a thousand presets, drawn from eight different synths, some of which are very rare. A couple of cases in point are the Yamaha GS2, which was the revolutionary precursor to the ubiquitous DX7, and the Yamaha DX1, which was the top-of-the-line FM monster which, even back in the 80s, sold for around £10,000. Only 150 were made, making them very desirable and rare. UVI has organised the patches into five different software instruments, all of which run inside Workstation or Falcon. Rather than using the names of the original instruments, the categories are a little more generic, at least in the case of the first two menus, which relate to the number of operators which were found on the original machines. This is not to be confused with oscillators. Operators on FM synths do generate tones which can be heard, but are most likely to be used to modulate a wave which is found later in a flow chain, dictated by a diagram which was described as an algorithm. The theory is that the more operators and algorithms you have, the more complex the modulation and sonic options, but this would entirely depend on the sort of tone you wanted to create. 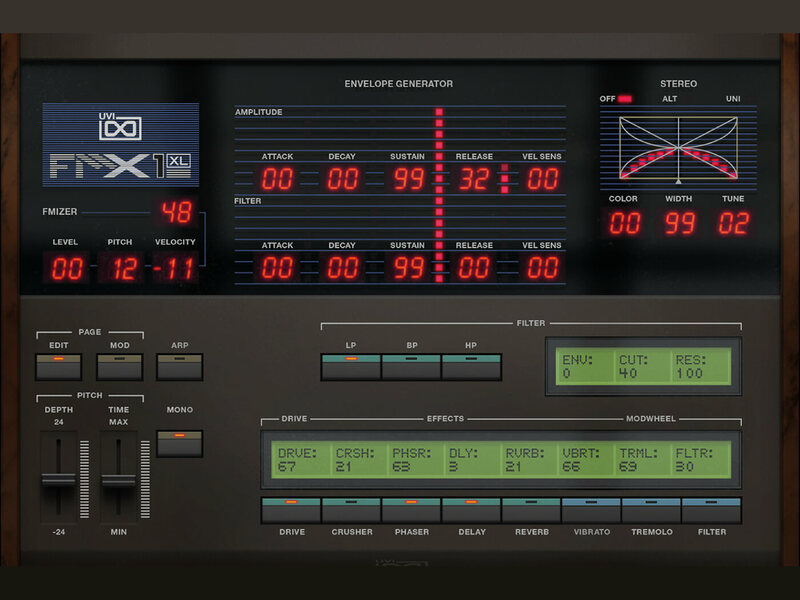 So, starting with the FMX-4op synth, the construct of each sound is based around two oscillators, with the initial tone generation being drawn from a sampled wave, captured from a four-operator-equipped machine, such as the DX100. For such a modest machine, you’ll be surprised how expansive this can sound, helped by the extensive collection of onboard effects, which are similar to those found in other UVI products – reverb, delay, drive, chorus, phaser and ensemble can all be applied at the patch level. Editing is also very easy; choosing to work with oscillator one, two or both, immediately opens options for filtering and control of envelopes, while the reasonably wealthy collection of initial sampled waveforms allows you to blend and create your sounds with ease. However, the one inescapable fact here is the overall sound quality; FM was always renowned for crispness and clarity, but even here, the depth and sharpness of timbre is noticeable, which if you’re familiar with other UVI packages, will probably not surprise you. It sounds outstandingly good, with a healthy sign being that you almost forget that this is about FM synths and just get on with playing the great patches. A good case in point here is presented by the animated patches, which largely call upon the programmable arpeggiator and modulation sections to create movement. This is really easy to use, effective and flexible, offering arpeggiation and gating, with control of volume, gate length and filter cutoff across the two modulation sources. The display makes editing of any preset in this arena simple: so much so, you’d almost be rude for not getting stuck right in when mid-production. Moving further into the package, and the FMX1-XL almost gives you a clue as to what to expect next. Based around the aforementioned DX1, this instrument sounds huge in all ways, which is hardly surprising, given the superior voice architecture and greater number of algorithms and operators found on the original. Its DX onscreen styling means that faders are replaced with digit-based values, and sonic familiarity ensues. 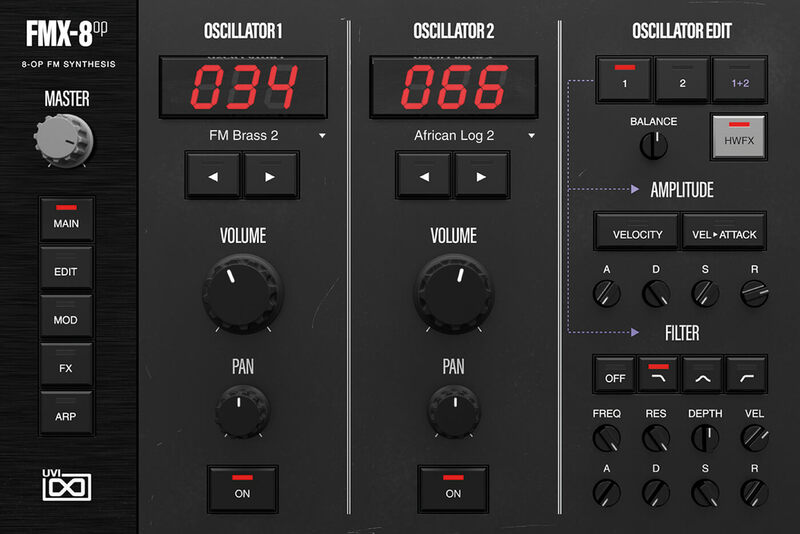 Alongside the usual editing suspects, this instrument also offers a degree of FM modulation control, through the FMizer. Increasing this value and level introduces plenty of those FM overtones into the timbre. It’s not control of each operator, like the original, but it’s a helpful addition to this flagship emulation. 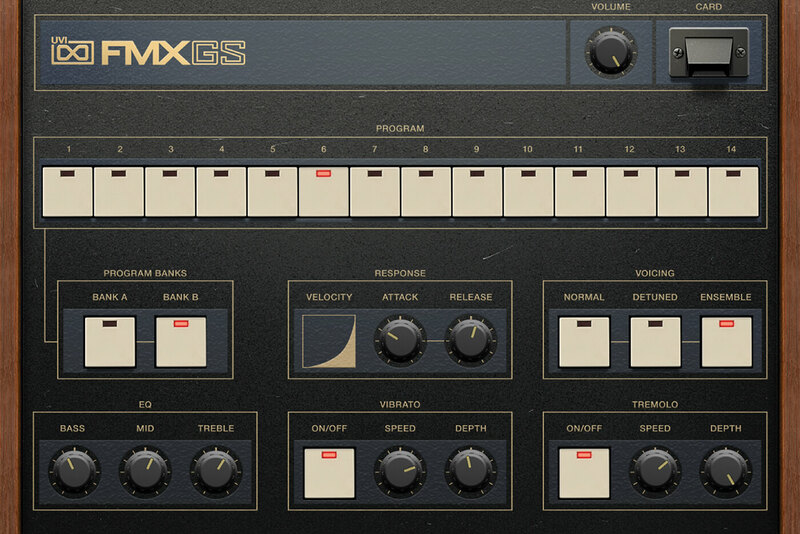 The FMX-GS, on the other hand, is the simplest instrument of the five on offer, behaving far more like its original GS predecessor, which was vastly simplified when compared to the later FM synths from Yamaha. This could largely be considered a preset synth, with basic control of the two-stage envelope and FX, but some of the sounds are really endearing. There are some great synth and brass sounds that could sound very contemporary, notwithstanding the original date stamp. The one point that’s reinforced as you move through each of the five FM-based instruments, is that they’re all quite different and unique – and not just in the way that they sound. UVI has gone to great lengths to ensure that each one offers slightly differing functionality. Some offer two oscillators per patch, while the likes of the more advanced FMX1 and 2 revert to single oscillators, thanks to the complexity of tone. However, there would be nothing to stop you building a more complicated multi-layered patch in Falcon, if you wanted to go into FM overdrive. My final opinion of this package is quite different from my initial expectations. Yes, it’s based around FM, but any negative opinions you may have had about FM being dated should not colour your perspective, as this is a superb-sounding set of instruments, which is highly usable across the board. Of course, some sounds are overtly reminiscent of the 80s, but it’s very possible to move way beyond these, and my feeling is that you’ll be greatly rewarded if you do. FM synths from the 80s can sound very dated – however, these things do modulate in and out of fashion. 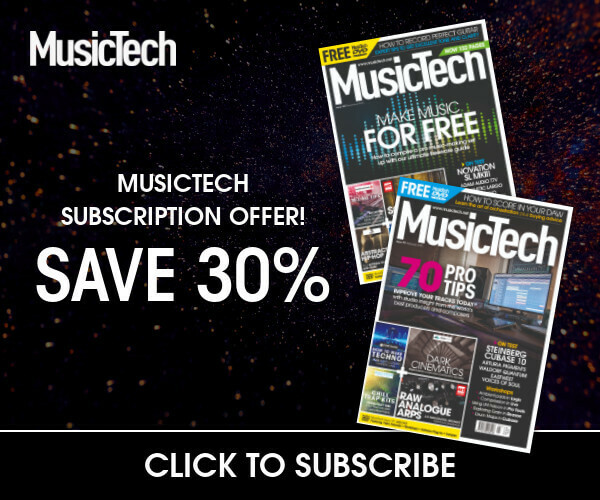 The popularity of FM synths with certain music producers, particularly in Scandinavia, has led to a resurgence of interest, and whether by design or otherwise, FM Suite could be considered part of this. Having said that, FM in a more contemporary guise, doesn’t need to sound dated at all, and can, in fact, be highly creative and very contemporary in sound, both retro and up to date. When you couple this with the superb capture and reproduction that UVI is renowned for, this should be something worth looking at for anyone in need of good electronic sounds, for all forms of music. It really has got something for everyone and is a very worthwhile audition indeed. 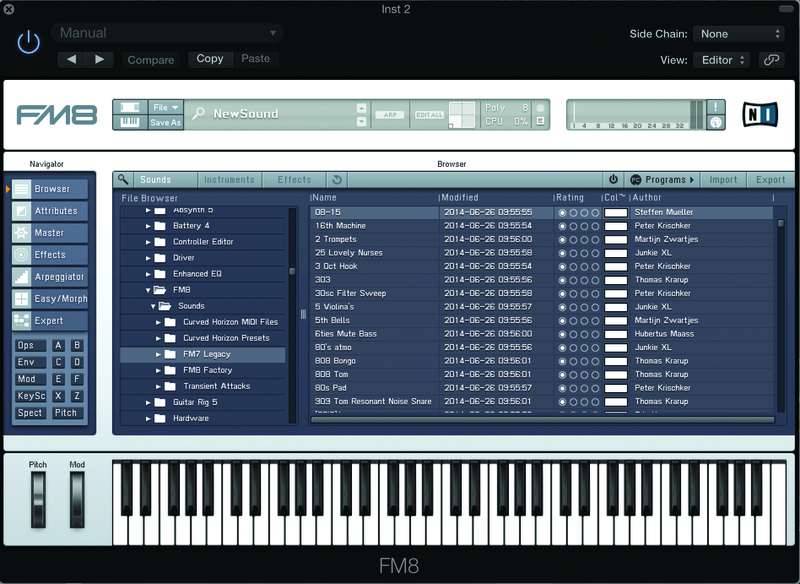 One of the most respected of the FM soft synths, FM8 allows sound creation by allowing the user to get into each operator. 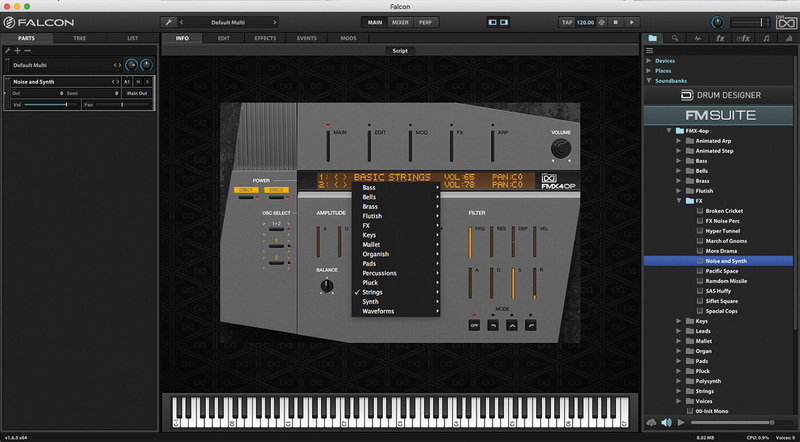 It’s heavily equipped with wonderful presets, with basic synth elements easily available. Although not software, this offers a four-operator hardware keyboard, albeit with mini-key format. Not surprisingly, it sounds great and performs well, with a display which many original DX users would have given their right arm for. 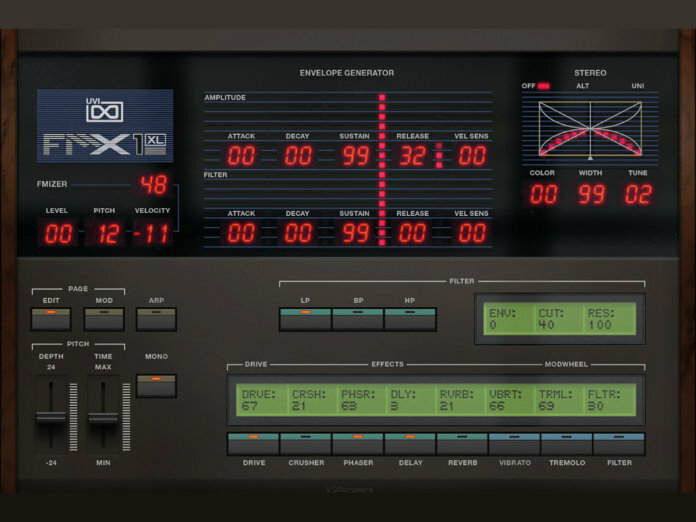 Don’t be fooled into thinking that this is a DX7 in software form! It goes way beyond that, and is a highly usable package for contemporary production.